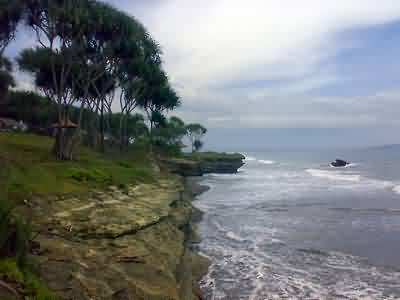 It’s said that this beach is a combination of Pangandaran Beach and Batu Hiu (we’ll write more about those 2 objects later) with more calm natural atmosphere. 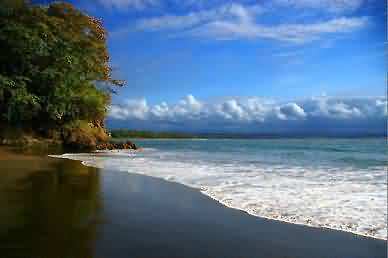 This beach is often visited by tourists to surf and swim. Batu Karas located in Batukaras Village, Cijulang, Ciamis regency, West Java, which can be reached by car approximately 45 minutes from Pangandaran beach. The surfers who are in Java don’t need to fly to Bali or Nias to practice their ability to dance over the waves. 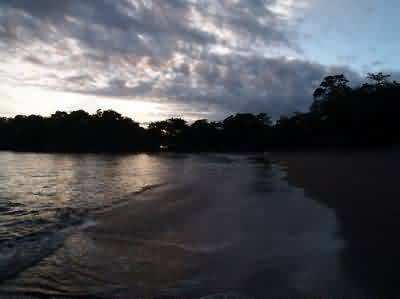 In this beach, there is a small bay in addition the sloping beach. So it’s not too strenuous for surfer when paddling to the point / starting point for the arrival of the waves. For they who want to learn surfing, there is also a variety of surfboard rental, complete with instructor coordinated by local youth organizations. They provide all the surfboard models there, ranging from beginner surfboard to professional there is also buggy board if you want. In the area of Batu Karas Beach there are also a variety of accommodations at very relative costs. There are inns that charge only US $5 per person /night!. Moreover, the atmosphere is calm, natural, so it can also be one of the alternatives for couples who want to spend their honeymoon. Seafood dishes also available at this beach, such as squid, fish, crabs and others. Besides surfing, buggy, Jetski, banana boat and other water sports, this place is also suitable for those who love adventure. 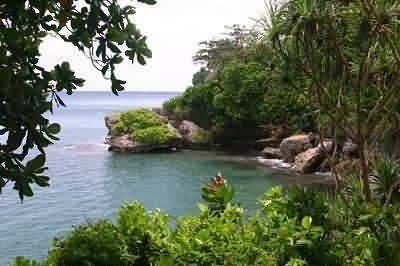 Batu Karas offers opportunities for camping and roaming nature. For those who are brave enough, they can hire local residents to guide the road to the Karang Nunggal — a secluded beach with towering cliff on its beach. There are also many foreign tourist who came to Batu Karas Beach. It might be because this beach is not not too crowded. You can ride the waves and feel the quiet breeze. This is because to reach the beach you have to going through the route of Pangandaran beach – Batu Hiu beach – Green Canyon – Batu Karas beach.. However, if you’ve come to the beach, you will certainly want to come back again. Remembering the fun of learning surfing at Batu Karas beach.